Sunbury Cricket Club is holding a registration day for Junior teams, T20 Blast and Milo In2Cricket for the coming season. We welcome all boys and girls to join the mighty Roar for what is going to be a big season of cricket. 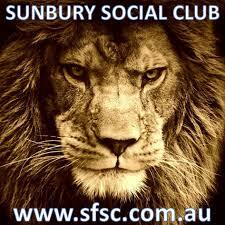 Where: Sunbury Social Club, Clarke Oval. Riddell Rd. Registration fee includes club playing shirt, match/practice balls, family presentation /BBQ at the conclusion of the program and a Renegades membership. MILO T20 Blast Run by Cricket Victoria, is a super fun, social, safe, cricket program for boys and girls aged 7 to 12. The program is much shorter than traditional cricket, with a maximum of 90 minutes playing time. All the equipment is supplied and the games will take place at local cricket clubs including Clarke Oval. Milo In2Cricket is a super fun, safe, social and active program for girls and boys aged 5 to 8. Participants develop fundamental motor skills which set them up for a lifelong involvement in physical activity, as well as important social skills including teamwork and being a good sport! Registration fee includes 8-week program, Milo in2CRICKET participant pack (cricket bag, bat, ball, hat, shirt & drink bottle), family BBQ at the conclusion of the program and a Renegades membership. Don’t forget to come along and register for Sunbury Junior Crciket this Wednesday between 6pm and 7.30pm. Coordinators are urgently required so please put our name to assist.